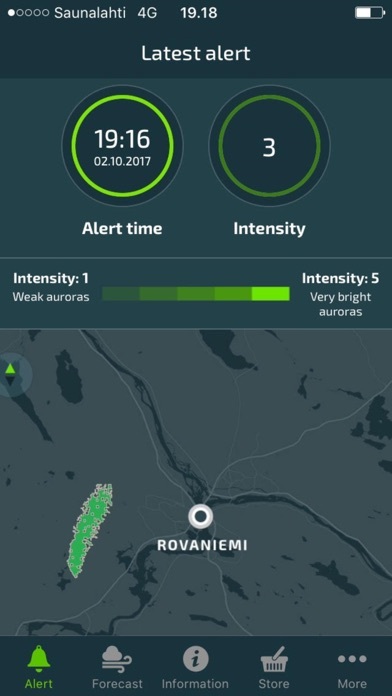 Aurora Alert Realtime alerts when auroras are visible in Rovaniemi, Finland. 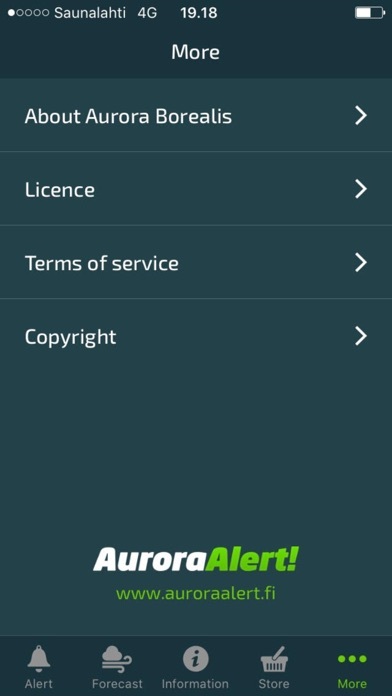 This is the only aurora service which uses own sensors, making the service accuracy, informative and reliable. Every evening you will get aurora- and weather forecasts for coming night. In case of alert, you can see from the Aurora map the direction where auroras has been detected. 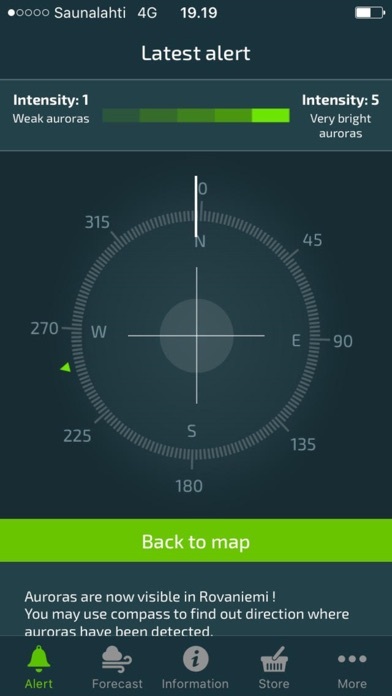 Integrated compass functionality ensures that you will find quickly correct bearing. Normally, auroras are visible from 15 to 60 minutes, when circumstances are favorable. When circumstances are in borderline, auroras may be visible only few minutes. 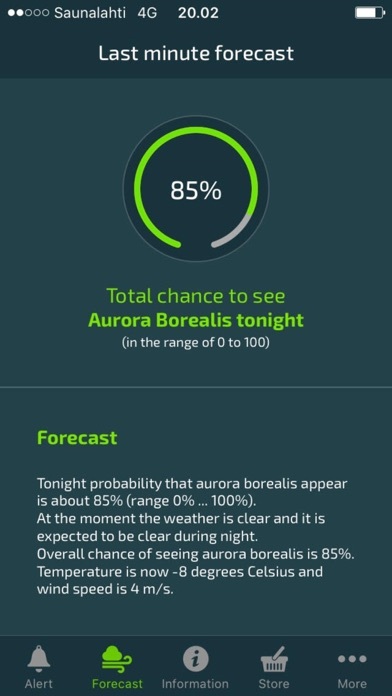 App gives you opportunity to see auroras although they are visible only short time. During same evening and night, auroras intensity can change from weak to strong which lights up the whole sky. 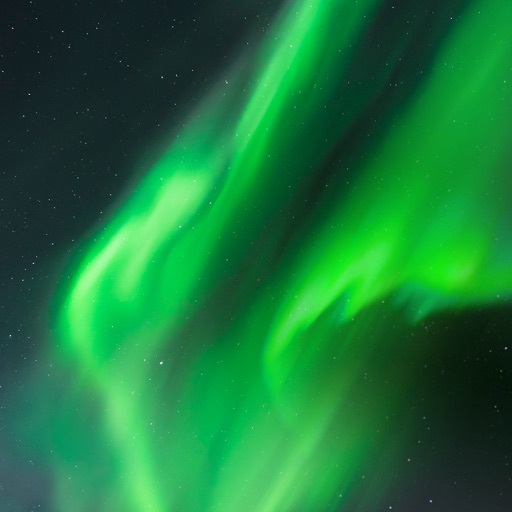 App indicates how intensity auroras are, offering you the chance to see the best auroras. In cloudy days auroras may exist above the cloud layers but we can’t see them. In this case, it’s good to continue resting and gathering strength for the next day. Sometimes the cloud layers can open up very quickly allowing us to see auroras, then you will be notified by the alert. Making reliable prediction when you can see auroras is very difficult. Solar wind which cause auroras, can travel from the sun to Earth in day or two (speed of solar wind can vary from 300 – 1000 km/s). This means that all predictions contain inaccuracy several hours, sometimes even 10 to 20 hours. Furthermore cloud situation affect to possibility to see auroras. 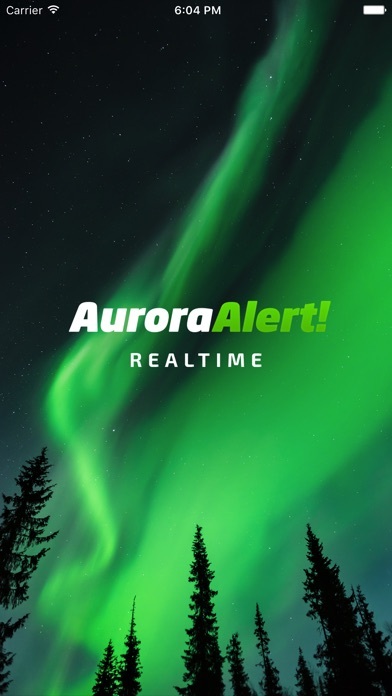 Aurora Alert Realtime app gives alert, indicates direction and tells the intensity of auroras when they are visible.